Every time your smartphone screen shatters, do you ever stop and think: why do I have to buy a new one? Why can’t we just replace the parts that still have some value? These questions were raised by Janine Finnell, Executive Director of Leaders in Energy, at the third annual Circular Economy event on September 28, 2017 at the University of the District of Columbia. 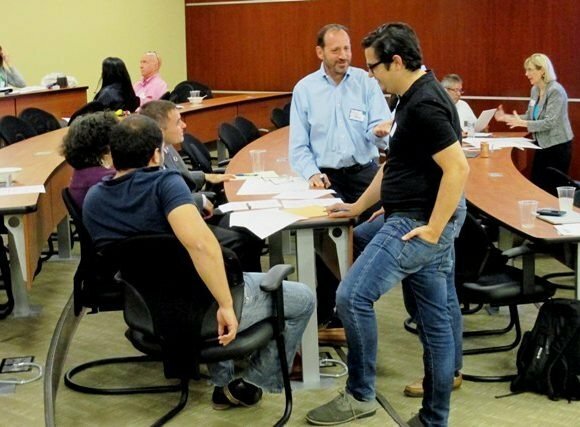 Several dozen participants from different backgrounds joined to learn about the circular economy and engage in small group discussions on how to expand its practices in our businesses, communities, and daily lives. The goal was to develop an action framework to further enable the circular economy in the Washington region.